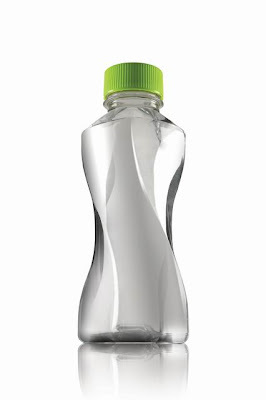 I am trying to recreate this bottle as accurately as possible, but I'm kind of stumped at how to go about it. So far I figured I would extrude a square base and flex it, but upon filleting it I'm find that it doesn't really bend in the subtle way the reference bottle does (below). I would like to recreate this cleanly as possible and was wondering if anyone had any good pointers on how to go about doing so; advice on the body and neck would be much appreciated. 2. Draw 1 sketch for the top (maybe even copy or derive the bottom sketch if acceptable). 4. Boundary feature using all the above. You can make use of tangency in boundry. I like sweep with twist along path. Rick, looking at the picture, I am not sure the profile is constant on the way up..
sweep and twist will give helical result...i think that bottle is tangent at top n bottom profiles. Try doing a loft with three profiles and "Normal to Profile" set on each end.